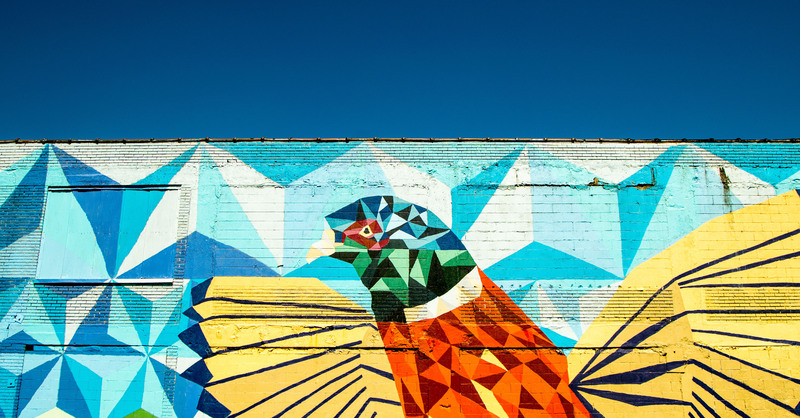 Recently, several street artists received emails from city officials requiring the artists’ murals conform to Atlanta’s public art ordinance. This ordinance requires artists to have their work approved by City Council before public display. Approval is contingent on certification from three different city officials. First, the Director of the Bureau of Traffic and Transportation must certify the art is not a traffic hazard or dangerous to pedestrians. Second, the Executive Director of the Urban Design Commission must certify the art is not an advertisement. Third, the Director of the Bureau of Cultural Affairs must certify the art does not negatively affect public interests (like clutter, public safety, and aesthetics). 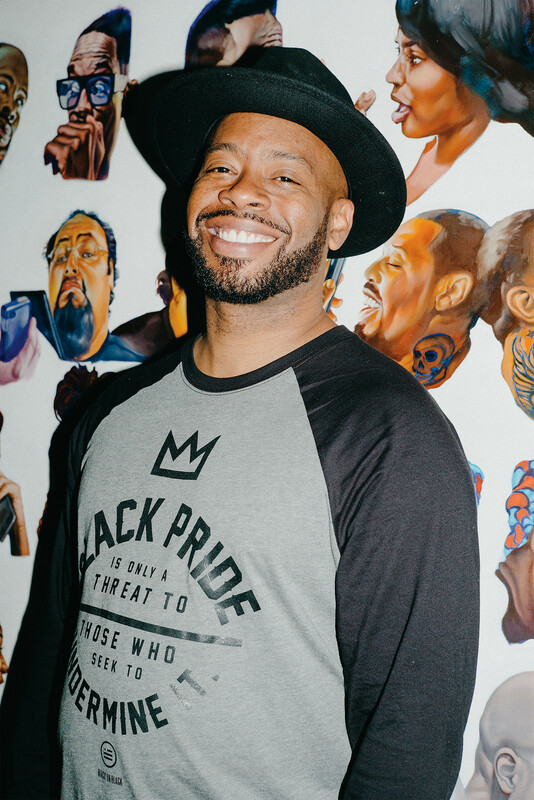 One of the artists emailed by city officials is Fabian Williams, also known as “Occasional Superstar.” Williams’ works include murals of civil rights leader Martin Luther King, Jr. and writer James Baldwin. These murals are located on private property with the permission of the landowner. For artists like Williams, the ramifications for non-compliance are the same as other violations of Atlanta zoning ordinances, including fines from $200—$1,000 for each offense/work of non-certified public art. If certification is unsuccessful, the city could force artists to remove the murals or face additional fines for continued violation of the ordinance. In addition to First Amendment protections for “freedom of speech,” Atlanta’s public art ordinance contains specific language that directs City Council not to suppress the content or message of public art. Many street artists believe the certification process, and the penalties for lack of certification, constitutes suppression of the content or message of their art. If so, this would be in direct contrast to the city ordinance and infringe on their First Amendment rights. So legally, what could the artists do? On May 30, 2017, a group of artists, headed by Williams, filed a complaint (a formal document commencing litigation) against the City of Atlanta in the Northern District of Georgia, along with a motion for preliminary injunction (a request for the court to direct the City of Atlanta not to enforce the public art ordinance until a final decision is reached in the case). The complaint challenges the ordinance, claiming it is unconstitutional because it infringes artists’ right to freedom of speech. Cities regularly create ordinances that permissibly limit freedom of speech. These ordinances often restrict the “time, place, and manner” of speech. These restrictions must be “content neutral;” that is, it must apply to all speech and cannot target any particular speech. If the ordinance is indeed content-neutral, it can restrict freedom of speech if it is (1) narrowly tailored to promote a legitimate government interest, and (2) leaves open reasonable alternatives for the regulated speech. For example, strip clubs often have to follow zoning ordinances to exercise their freedom of speech. Arguably, the performances in the clubs are forms of art; the dances, songs, lighting, and costumes all have artistic elements. Even if you disagree, the performances certainly constitute expression, and this kind of speech is protected in Atlanta. In fact, Atlanta is known for having a high number of strip clubs per capita. But did you know that in the early ‘80s the City of Atlanta tried to eradicate adult businesses with an adult entertainment ordinance? In 1981, adult businesses, faced with an ordinance requiring relocation, brought suit (Purple Onion v. Jackson). At that time, over forty adult businesses existed in Atlanta. The City of Atlanta’s adult entertainment ordinance was intended to reduce traffic congestion, reduce driver distraction from excessive illumination, reduce need for extra police and fire protection, reduce noise, and increase property values. While these seem to be legitimate government interests, enforcing the ordinance’s broad definition of adult entertainment would have resulted in relocation of businesses the ordinance was not meant to target, such as hotels, non-adult theaters, and even homes with R-rated cable programming. Enforcing the ordinance would have greatly suppressed freedom of speech regarding sexual content or messages. Thus, the ordinance was not narrowly tailored. Additionally, the ordinance did not leave open reasonable alternatives for relocation. The City of Atlanta suggested over eighty sites for relocation, but the sites had issues. Some properties were too small, some were only accessible by train or foot, some had easements (the right to cross or otherwise use another’s land for a specified purpose) through the middle, and one piece of land was even adjacent to a sewage treatment plant. In other cases, landowners were simply unwilling to sell to an adult business. In the end, the court declared the ordinance unconstitutional in its entirety. As noted above, the language of Atlanta’s ordinance purports to be content neutral so, as with Purple Onion, the court must assess whether the Atlanta public art ordinance is narrowly tailored and if reasonable alternatives exist for street artists. If the ordinance passes these tests, what other arguments do the street artists have to continue their display of art? GLA will keep you updated on the status of Fabian Williams’ case, Williams et al v. City of Atlanta, Georgia.